10 Best Ice Skating Rinks in Illinois! 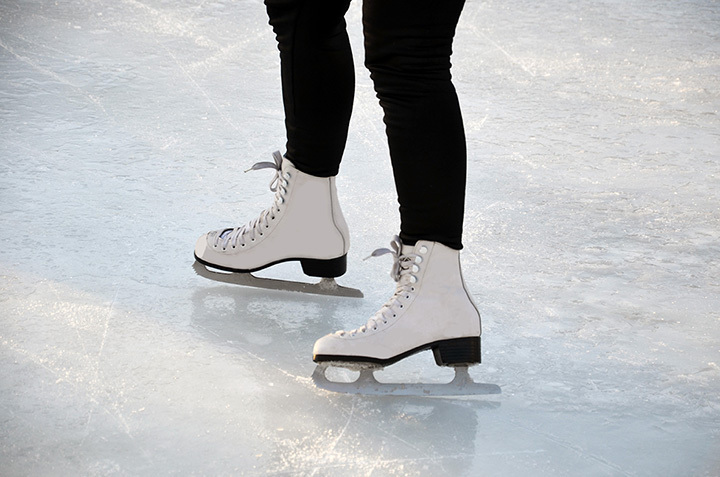 Whether you're an ice hockey player or experienced figure skater, you'll need an ice skating rink to test and improve your skills. Illinois offers several quality skating rinks with plenty of smooth ice and open space for scuffling around with hockey sticks or gracefully gliding on skates. The following ice skating rinks are open the public, offer affordable admission fees, and provide plenty of fun activities for the entire family. The Rocket Ice Skating Rink is the perfect spot to enjoy days off school or work. They offer theme and character skating sessions for the public, ice skating lessons, figure skating competitions, hockey for youth and adults, and more. Kids can skate with Frosty and Santa during the winter months and skate to other holiday themes throughout the year. Rocket Ice Skating Rink has fun activities year-round. The McCormick Tribune Ice Rink is one of the best known outdoor skating rinks in the country. Located in Millennium Park, this seasonal skating rink draws in over 100,000 people from November to March each year. There is no fee for the public to skate here or take the skating lessons, which are available on weekends before the rink opens. Located in Grant Park, the Maggie Daley Park Ice Ribbon features a ribbon of ice trailing through the rolling landscape of the park. It's like skating through the alpines with a spectacular view of the city skyline. Open from late November through March, this skating rink is free to the public and offers hot chocolate. Skate where legends have once skated at Skatium Ice Arena in Skokie. This indoor arena offers a full-sized rink for the public and smaller rink for private parties. Open year-round, Skatium is perfect for figure skating, hockey, and recreational skating. They also have babysitting services, a cafe, and locker rooms. Located in Oak Park, the Paul Hruby Ice Arena at the Ridgeland Common Recreation Complex is a family-friendly skating rink open year-round. They offer several skating sessions for the public, parents with tots, homeschool children, and more. Special events, such as Cosmic Skate Night, are also held here. They offer ice skating and ice hockey programs, as well. This family-run ice arena is ideal for learning to skate, practicing figure skating, or holding a kid's birthday party. Located in Crestwood, Southwest Ice Arena offers public skating times with affordable admission prices. They also have punch cards at a discounted price for regular skaters. The East Alton Ice Arena offers a wide variety of family-friendly activities ranging from skating lessons to hockey leagues. Open skating times are also available to the public for a small admission fee. This not-for-profit ice arena is dedicated to serving the community and hosts local skating and hockey associations. Whether you enjoy open freestyle skating or rat hockey, Center Ice of DuPage is a fairly large indoor skating rink worth checking out. Located in Glen Ellyn, this facility offers public skating, cosmic skating, ice hockey, and more. Their Skating Academy is available for learning skating basics and improving one's skills. Open to the public all year, Franklin Park Ice Arena is an indoor facility offering public skating sessions at great prices. They feature DJ SK8 on certain nights and offer concessions, skate sharpening, and a cyber café with free WiFi. Season passes are also available for skaters who frequent the facility on a regular basis. Learn to skate and play hockey at the Morgan Park Sports Center in Chicago. This facility offers skating for preschool-aged kids to adults, with many classes to choose from. The general public can skate here, as well, during specified time periods. View more Illinois Ice Skating Rinks.